A few posts back, I shared my refreshed skincare routine and a few of the products that have been the key to clearing up my spot-prone combination skin. I have to admit though, it’s a pretty pricey list of products. I’ve never been one to skimp on skincare but if I can find a budget alternative to my favourite products, I’m all for saving the money! There’s nothing worse when shopping than falling in love with the most expensive items. When Boots Botanics sent a selection of their skincare range for me to test out, I was really intrigued to see how they’d fare against their more expensive counterparts. Could they get me that dewy summer skin I’d been dreaming of all summer? 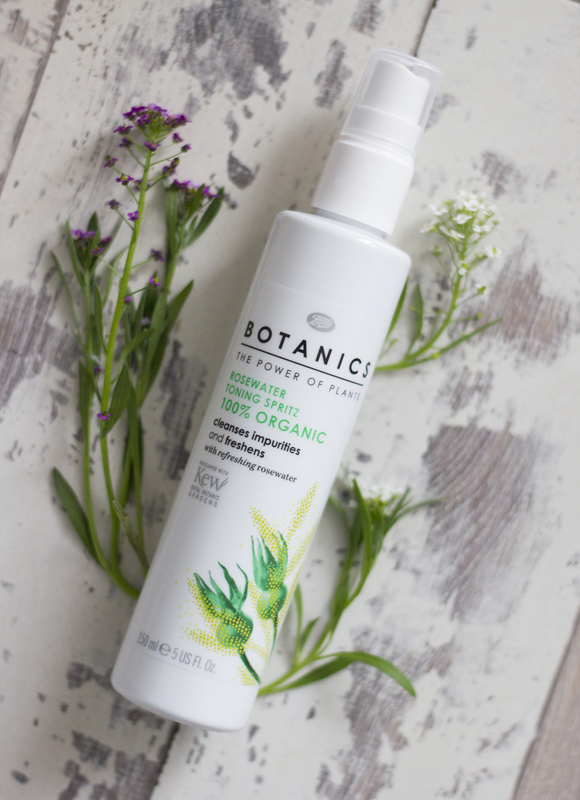 This post was written in collaboration with Boots Botanics. I was so skeptical about micellar waters at first, after trying the Superfacialist one and finding it left my skin feeling a little too greasy. Thankfully, the iconic BioDerma Sensibio won me over and made micellar water the perfect partner to my Superfacialist cleansing oil. The Boots Botanics All Bright 3 in 1 Micellar Cleansing Solution contains hibiscus, which mildly exfoliates your skin due to naturally occurring AHAs and leaves it feeling smoother and brighter. The beauty of micellar water is that it feels like water but with a few sweeps of a cotton pad, it really does dissolve the makeup from your face. I use this alone in the morning or alongside my Superfacialist Vitamin C+ Cleansing Oil in the evenings to make sure my skin is fresh & clean. 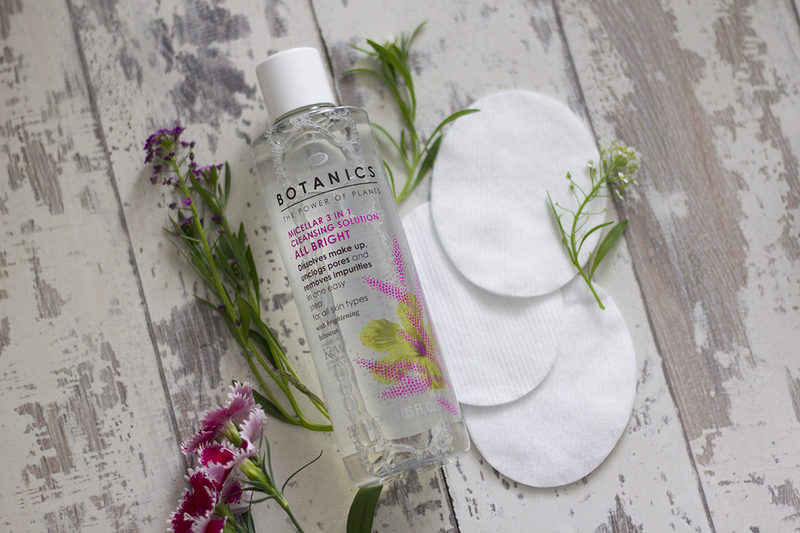 In all honesty, the Boots Botanics micellar water works just as well as the BioDerma one and is more than half the price! I’ll definitely be picking it up again! At over £24 for 100ml of spray, the Jurlique Rosewater Balancing Mist is more than a little pricey. When I spotted the Boots Botanics Rosewater Toning Spritz at nearly £20 less, I knew I needed to give it a go. With only five ingredients and 100% organic certification, this one is particularly great for sensitive skin like mine. After cleansing, you simply give your face a few spritzes of this to tighten your pores and remove any last bits of makeup. In the morning though, I love using this to ‘wake up’ my skin and add in some extra hydration. It’s also great for giving your skin a little hydration boost throughout the day. If you want to jump on the rosewater spritz hype, this is the perfect product to try as it’s just as great as its more expensive alternative but works just as hard! In the summer, you should never forget to wear an SPF. I’ve got quite fair skin, so it’s an absolute no-brainer when the sun makes an appearance, but also something I wear throughout the year to prevent the signs of ageing. 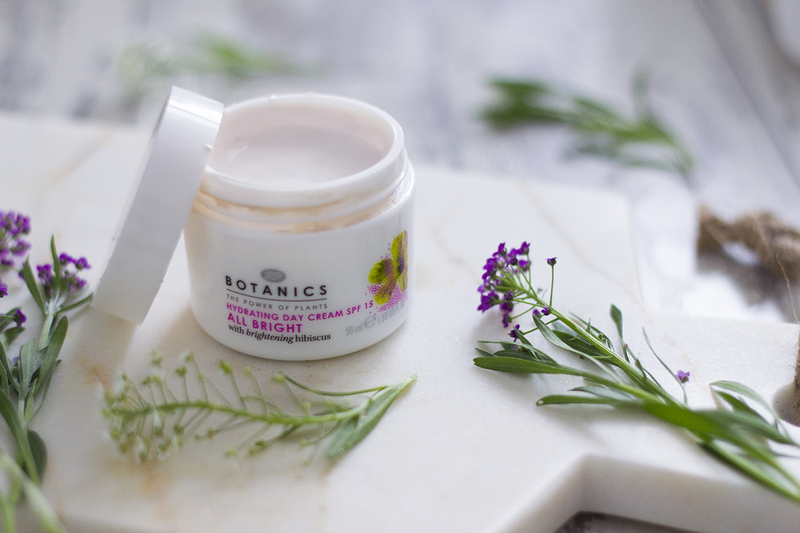 From the moment I saw the Boots Botanics All Bright Hydrating Day Cream SPF 15, I was excited to see how it felt on my skin. I have combination skin, but I always opt for more hydrating skincare to achieve a dewy glow. The day cream is quite runny, similar to the consistency of my beloved ESPA moisturiser, but it has the added bonus of being £34 cheaper. That’s right, a saving of £34! It contains hyaluronic acid, which helps boost the skin’s moisture levels, and AHAs to mildly exfoliate and soften & brighten the skin. It absorbs into my skin quickly and leaves it feeling soft and glowing. 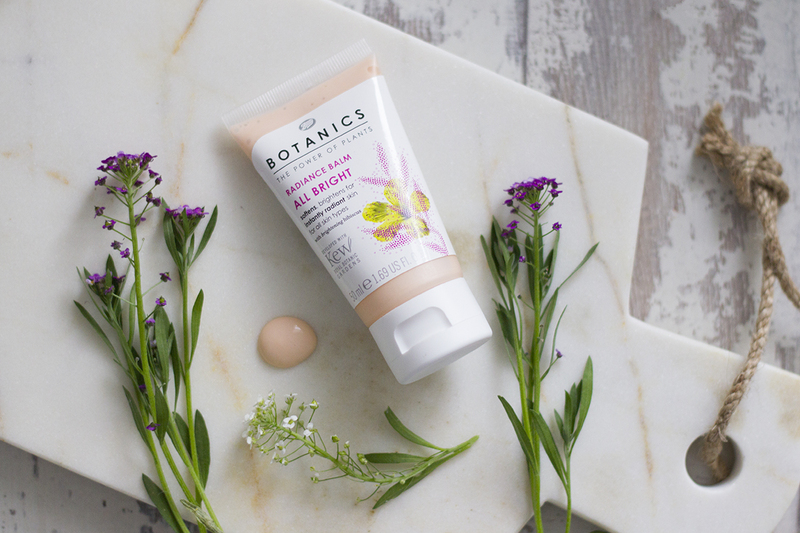 The last step I’d recommend in the range to achieve that beautiful summer glow, has to be the Boots Botanics All Bright Radiance Balm. It’s been hailed as a dupe for the MAC strobe cream to enhance dull skin and give it a boost of radiance. In the bottle it looks as though this is quite a one dimensional product, but the cream is runny and lightweight with a beautiful iridescent pink/purple sheen. It sounds a bit crazy but it actually looks so beautiful and natural on its own, over your moisturiser. It’s a great base for applying makeup, but on the weekends I’ve been reaching for this as an alternative to a tinted moisturiser, particularly when my skin is clear. 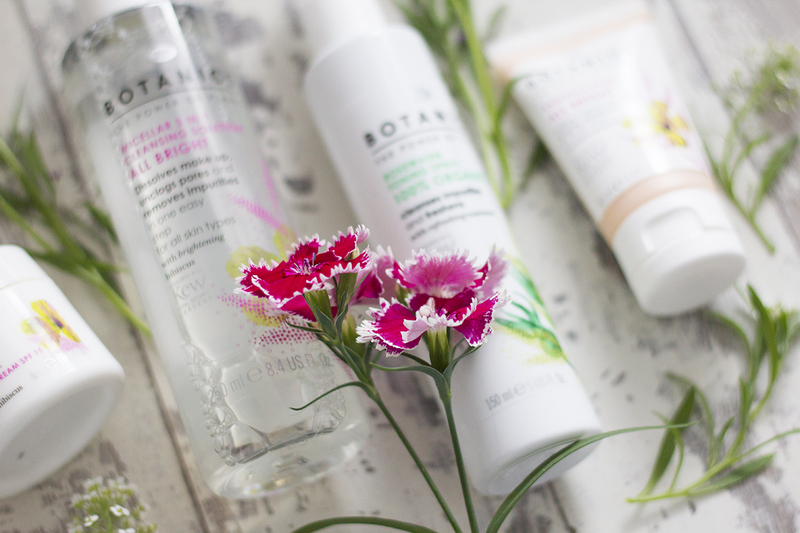 I was actually really impressed with the entire Boots Botanics range! The price point is perfect for stocking up on your everyday skincare products without compromising on quality. I think I even prefer some of the products to some of the more expensive alternatives that I currently use! I’m definitely picking up the day cream again, especially with that ridiculous saving of £34 against my current favourite one. Something I also noticed from a few weeks of using these products was that my skin hasn’t had any nasty breakouts. That alone has made me reconsider exactly what I’m putting on my skin. Disclosure: This post is sponsored by Boots Botanics. I received the above products for the purpose of this review but all thoughts & opinions are my very own. 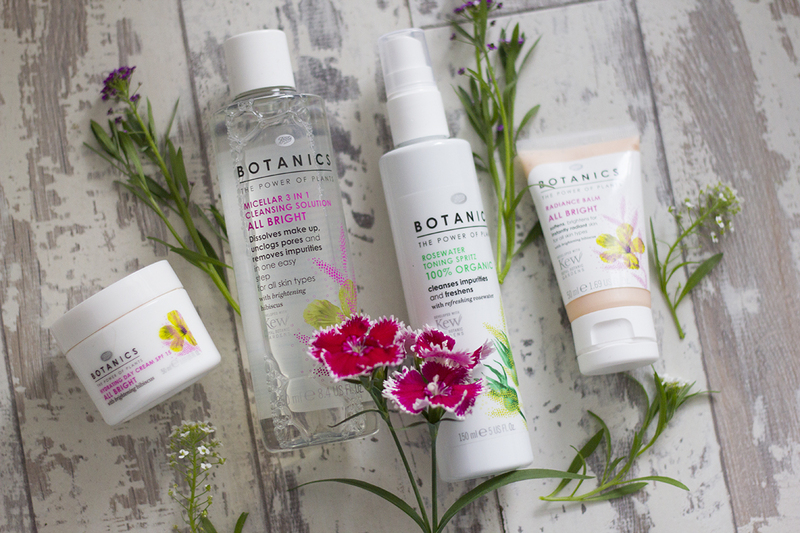 Have you tried anything from the Boots Botanics skincare range? What are your faves?